If you are serious about becoming a glider pilot, then why not join ESGC as an adult member for £380 right now, or contact us to talk about other membership options. Thanks for a great day today. Had an amazing time and Adrian was a great instructor. Are there different payment options for club membership? Just trying to assess feasibility at the moment. Hope to see you again soon. glad to hear that you had a great day. Basically there are different types of membership – depending on your age and profession. At the moment you should still have your 3 month temporary membership – so you can fly at club rates any time we do fly (generally Wednesday, Friday, Saturday and Sunday – weather permitting). So you pay 8.5 launch fee and then 40 p per minute flight time. All the details can be found on our current fees web page. If have a job and you are over 21 years of age then the annual membership fee is 365 GBP – (April to April). So if you join now that would pay for 7 months now – 213 GBP. 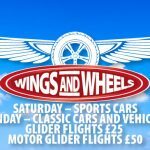 If you decide to go for a fixed price to solo (630 GBP) you would get the money you paid for your gliding experience/trial lesson/day course back. Hi. I used to be a member of your club and also surrey hills gliding club. Is it possible to rejoin as I am now in Essex. I have not yet gone solo but have some lessons in my log book. Of course, we would be more than happy to accept you as a member of ESGC and will email you directly to give further information. Just enquiring whether you’d do a three months membership for me? Only in the area for this time period. Hi Steve, pretty sure we can accommodate your needs. I’ll pass your enquiry onto our membership secretary and he will contact you directly. 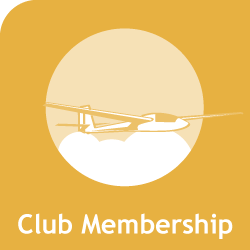 I’m currently a member of the Cambridge Gliding Centre, but recent changes to their pricing and also my realisation that they’re unjustifiably expensive has led me to look at becoming a member of your club. I’m a solo pilot who wants to go Bronze this year before the EASA changes, could someone please give me a buzz so that I can have a chat about coming to see you and booking in a refresher session prior to planning some pre-Bronze work / exam?